In preparation for worship each week, please take time to read and reflect on the texts for each Sunday. In addition, during the Season of Lent, I hope you will be in prayer for the church and for your pastor and elders. It is good to be the church—in prayer—in worship—in life. What is the covenant that God makes with Abraham? In the gospel reading, why does Jesus reprimand Peter? Jesus asks his disciples to deny themselves, take up their cross, and follow him. How do you practice self-denial for the sake of the gospel? Read the story of Nicodemus in John 3:1-21. How are the images of light and darkness played out in this text? How might you describe “the Kingdom of God” to an unchurched person? Are there parts of your life that you wish to hide from God? Can you imagine what it would be like to live completely transparent to God’s piercing light? Using the metaphor of a seed, what is Jesus describing? What in your life must die so that you may flourish? What does the voice from heaven say? Whom does Jesus wish to glorify in all that he says and does? 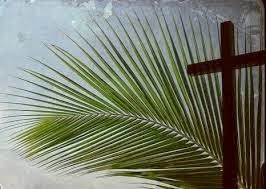 What are we celebrating on Palm Sunday? What do the disciples get for Jesus? How do the people respond to Jesus’ entry into Jerusalem? In less than a week, the people will respond differently. Why? May the Lord bless you on your Lenten journey. I look forward to our time of worship each Sunday. Come along—and bring a friend.